Makeup wise I always think fresh when I think of spring – dewy skin with a lighter coverage foundation, paired with peachy blush, lighter lipsticks and lots and lots of mascara. My favourite highlighter for faking a lit from within glow has to be from Hourglass – they’re subtle enough on the skin not to draw too much attention but still make everything look polished. I’m also particularly enjoying the new Tender Moments collection from Clarins, with its heart packaging. It’s such a bright and happy collection, and really puts me in the mood for brighter days. 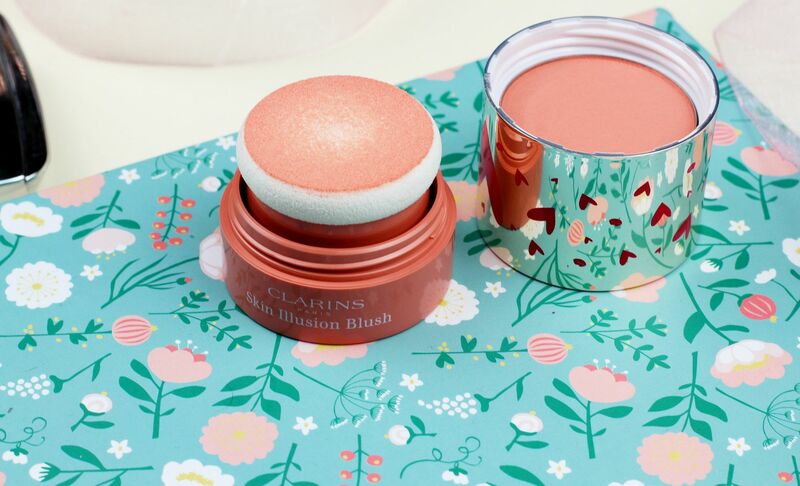 The Skin Illusion blushes seem especially innovative – it’s packaged in a compact powder puff, so you stamp the colour onto your cheeks. It’s a delicate whisper of colour rather than a big bright flush which makes it gorgeous for popping in your bag and touching with on the go. Luminous Coral is what spring makeup should be all about. The other part of the new collection is the Daily Energiser Lovely Lip Balm, which is one those adjustable shades that is meant to react with each individual’s lip pH. Dubious about this as I imagine the colour would look the same on just about anyone, but it’s a gentle wash of peachy pink for the lips packed into a hydrating, balmy texture which is a nice change of pace from the matte lipsticks I’ve been wearing all winter. 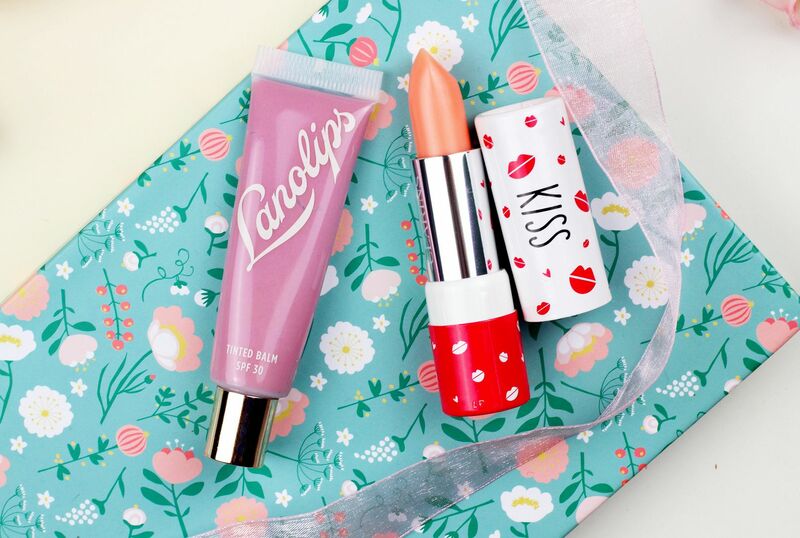 Another sheer balm worth mentioning is the Lanolips tinted balm in Rose which does an excellent job at nourishing the lips and adding a gentle shine. Lovely stuff. 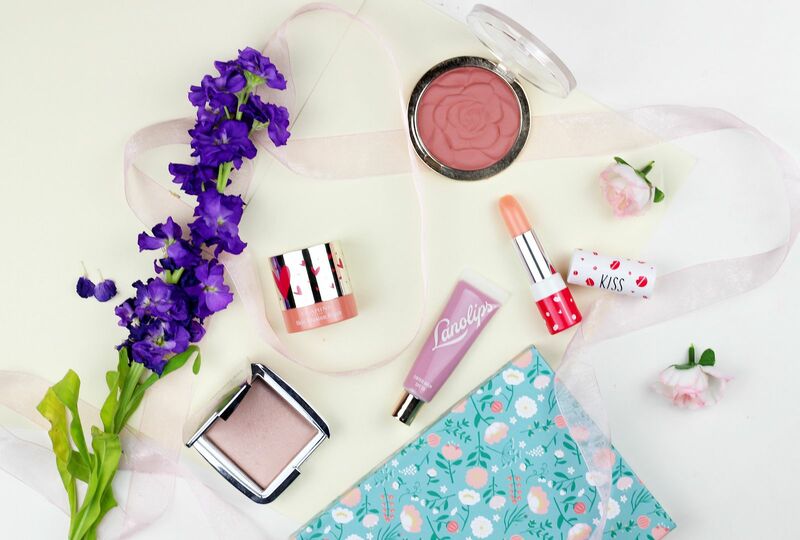 Do you have any spring makeup favourites?